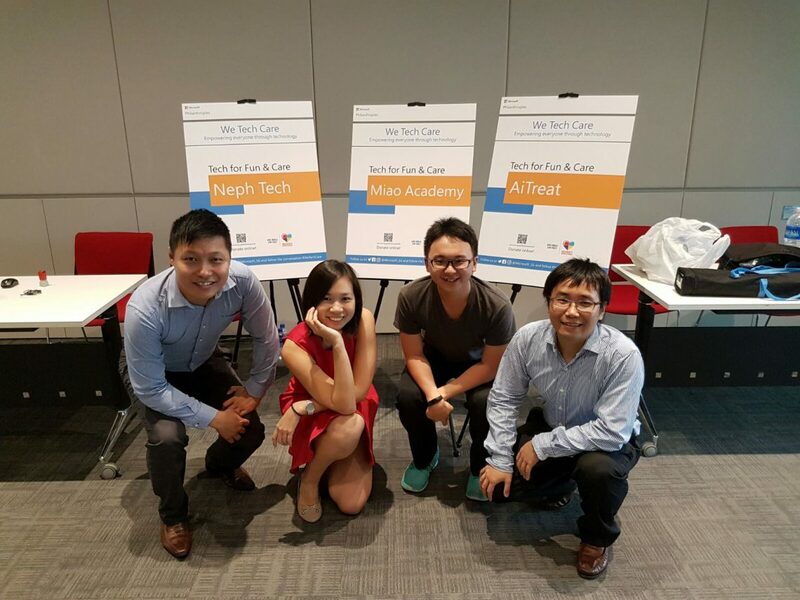 Today, the team at Miao was invited to host a booth at Microsoft’s We Tech Care event, held at the Enabling Village! Co-founder Ze Xuan demonstrated the beta application to students, parents and even elderly folk who were interested! We also met up with our neighbours from the TAG.PASS program, NephTech and AiTreat!